What makes me feel strong, confident, and powerful? I feel my best, do my best, and achieve my best when I am confident in what I am wearing. Athleta has helped me feel my best both inside AND out through their versatile atheletic wear. Athleta’s mission is much more than clothing. Their mission is to make women feel strong and empowered one piece of clothing at a time. 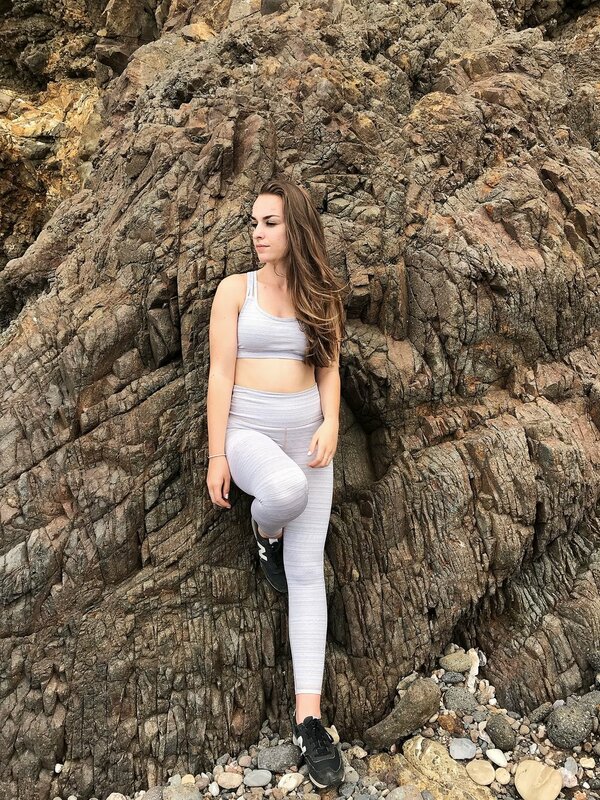 I recently tried out this set a couple weeks ago at my local Athleta store and instantly fell in love. At first it was love at first sight, and then love at first fit. This set is not only so freaking cute, but also comfortable and flattering. I couldn’t wait to take it out on my next outdoor activity. I chose these colors, well, because I’m a sucker for neutrals and I know nobody can ever have enough. The pants hit right below my belly button, and right above my love handles (which is one of my unspoken insecurities). The sports bra is now 100% one of my most supportive and cute bras! Even though I don’t have much… ;), I still need some support especially when I go for my runs. The quality and support that the set offers, almost makes me feel like my flaws have run away and are never coming back. More importantly, it makes me forget about them, feel confident, and have a more positive outlook on my workout. Having a positive mind set is crucial for me when running. Otherwise it’s like a have bricks chained to my heels telling me to stop every step I take. The “Power of She” movement has inspired me to be the most confident woman I know how to be. My hope for this project is to inspire YOU to not only look but feel confident in your body. When wearing this set, I’m not worrying about how I look because I feel amazing. 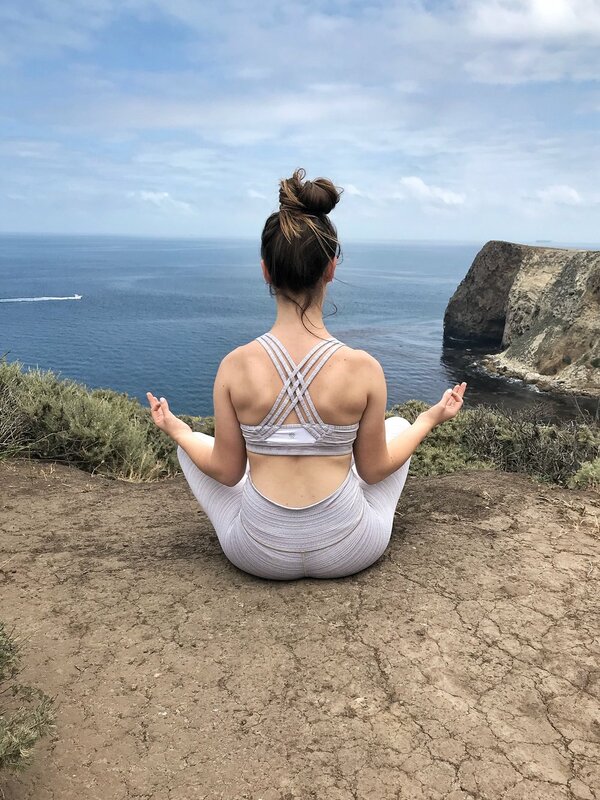 Athleta’s mission is "to ignite a community of active, healthy, confident women and girls who empower each other to realize their limitless potential.” What better way to do this? Thanks for stopping by! What makes you feel empowered? 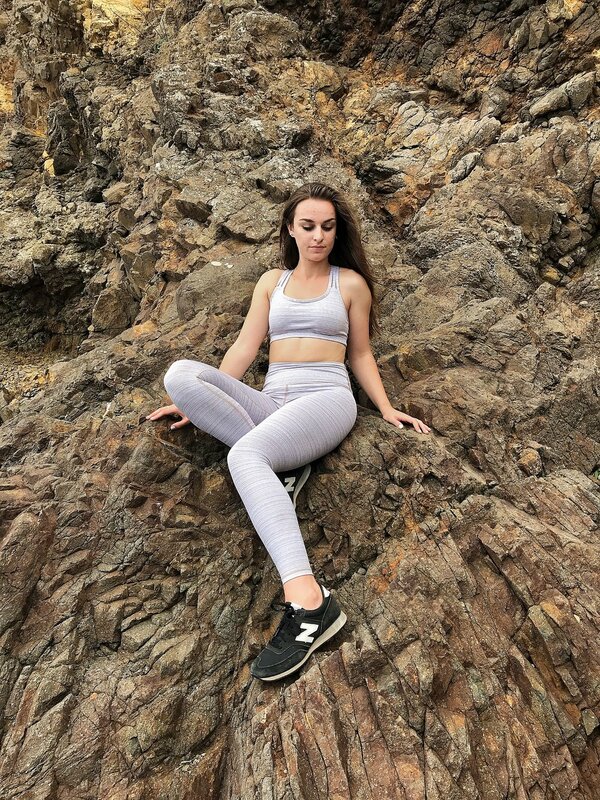 Thanks to Athleta for sponsoring this post!